Everything goes according to procedure when a patient, Isaac, is released into the community from a high-security mental health ward. But when the staff realizes that he was connected to a series of unexplained episodes of self-harm among the ward's patients, and furthermore that he was released in error, they call on Detective Jack Caffery to investigate, and to track Isaac down before he can kill again. Will the terrifying little effigies Isaac made explain the incidents around the ward, or provide the clue Caffery needs to predict what he's got planned? 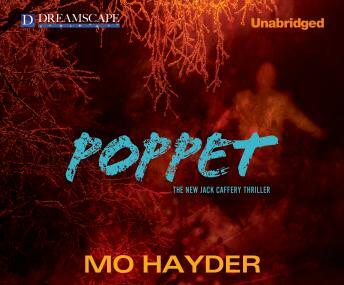 Mo Hayder is renowned for conjuring nightmares that sink under the skin, and in Poppet she has delivered a taut, unbearably suspenseful novel that will not let readers go.